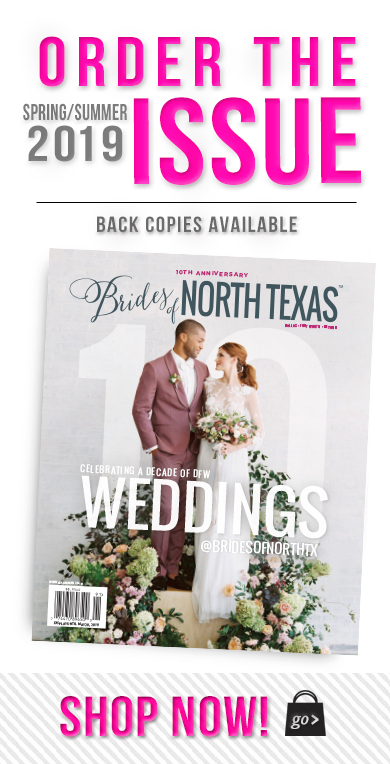 If you’re planning a wedding this fall, we just love this gorgeous color combo! 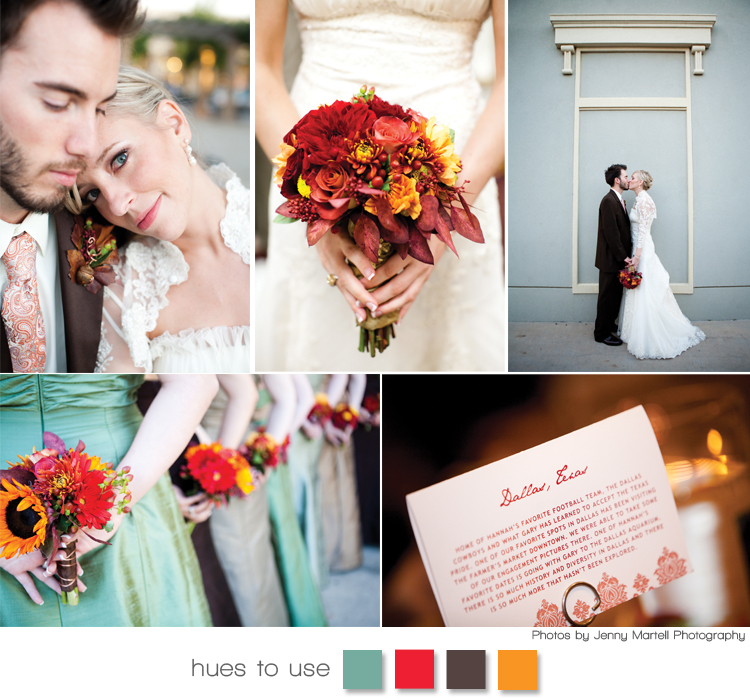 This bride took fiery reds, oranges and yellows and added a cool contrast with teals and browns. 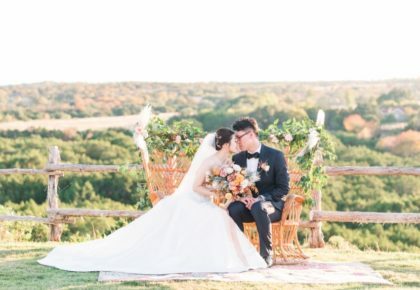 Her modern, Autumn harvest theme is truly adorable and was pulled together by the team at Bride-Associates. 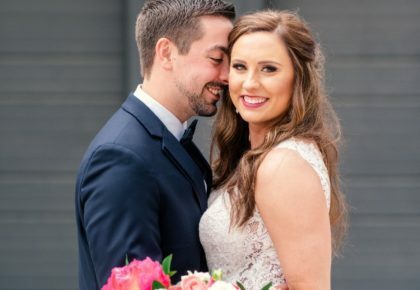 This beautiful Texas bride looks simply stunning in her lacey gown with complementing jacket from the Bridal Boutique in Lewisville. 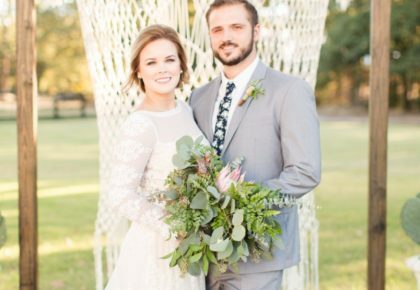 Check out the groom’s orange paisley print tie — too cute! These lovely photos were captured by Jenny Martell Photography. Cheers!